‘City Hunter’ is an original script based on the world-famous novel by Japan’s Tsukasa Hojo. ‘City Hunter’ has switched the setting from Tokyo 1980 to Seoul 2011, and according to the original story structure, the protagonist becomes a city hunter and his character develops while resolving gratifying cases. Lee Yoon Sung (Lee Min Ho) works at the Blue House's National Communication Network Team and received his Ph.D at M.I.T. He will then meet Kim Nana (Park Min Young) who is former judo athlete who works as the bodyguard at Blue House (Korean President Office). The love story will revolve around Yoon Sung's choice between fulfilling his duties or choosing to be with the woman he likes. I think the crucial part in a TV drama is always it's pilot episode. It has the power to get you hooked in the show and it also unveils all the secrets and plots. City Hunter's first episode was super amazing! There was action in the very first 5 minutes. The editing was perfect and I got really hooked! The part where the 21 soldiers came to North Korea was super intense,too! It could have been the peek of other drama but was it was only the start for City Hunter. I got all stirred up when the 21 soldiers were swimming and they were expecting rescue but betrayal welcomed them. I felt bad that in the South Korean government chose to sacrifice the lives of the soldiers than to loose their alliance with the U.S. I also felt very bad for the mom who lost her child because the baby was stolen. I don't agree that she would live happily if her baby was taken away from her. Rather, she would live her whole life miserable because she would be thinking of that child she lost all her life. *If there's one thing I like about this drama is that they don't let bad guys get away with their sins. I really dislike those Korean dramas where the villains always win and still get what they want. In this drama, City Hunter acts as a whistle blower to dirty politicians. He exposed that Lee Kyung Wan was taking fund that was allotted to feed poor citizens. While he also revealed that So Yeong Hak sabotaged the fund that was allotted for the Korean army and that his sons cheated just so they could be exempted from the mandatory military service. I don't know why but I was grinning when the military came to his mansion to pick up his 3 children because it was proven that their medical examinations were fake. That was one of my favorite scenes! *I also enjoyed the love-hate relationship between the City Hunter and the Prosecutor. They are always in a competition. The City Hunter wants to punish the bad men, the Prosecutor wants to catch them. City Hunter catches the bad guys and sends them over to the Prosecutors office. But still, the Prosecutor wants to catch the City Hunter. *I don't know if I should categorize this as something that I like or don't like but City Hunter will always make you nervous and leave you breathless. I am more nervous than the hunter every time he will do an operation. It's not a TV show that you should watch if you are a nervous type of person or else it would leave you with a heart attack! *I dislike the female lead character. She gets annoying at times. She gets mad at Yoon Seong for shallow reasons. She always gets in his way. She looks more like a villain than the heroine. She can't cry or even look sad when the situation calls for it. She is so stubborn thats why Yoon Seong gets hurt and gets in trouble sometimes,ecause she meddles with his business. She also cant wait for secrets to be revealed to her. Like Sun Yeong being the City Hunter and the prosecutor being daddy long legs. And when she is finally asked to reveal something, she doesn't do it! Is she really that stubborn! In one episode, the President asked her about the person who gave the hanky with the sunflower design but she did not answer. She is really not cute when she tries to act cute, it's annoying. I dont actually hate the lead females in Korean dramas. but this has got to be an exemption. I mean, I liked Koo Hye Sun and most especially I loved Son Ye Jin in Personal Taste, but I dont like this girl. She always tries to mingle with the City Hunters businesses which I think is not cool! She always insists on being with Lee Yoon Seong even though he is trying to avoid him. No matter know many times she gets threatened, kidnapped or hurt she still insists what she wants. Which could sometimes really get annoying. The story is great and the fight scenes were amazing but the writer slacked in the love story part. LOVE is never having to insist your self. Its is not stubborn or close minded, its about thinking what is best for the other person. And this girl definitely is not thinking whats best for Yoon Seong, she is selfish and childish at that. *I've never done this in ANY other Korean dramas but I fast forwarded too much scenes in this drama, especially when I got to episodes 13 to 20. In other dramas, I would sometimes skip the annoying part where the villain tries to hurt or plans something really evil about the heroine. But I couldn't believe it when I found my self fast forwarding Kim Na Na's scenes. When I got to episode 17 I also forwarded Yoon Seongs and Na na's scenes. 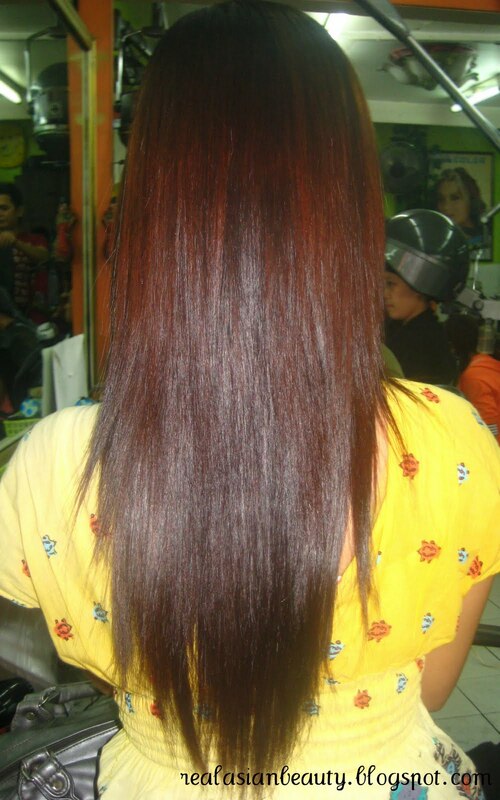 It just got too redundant and boring and it just became a cycle of unending drama and hard-and-selfish-goodbyes. *The characters name's are hard to remember. Until now that I have already finished the 20 episodes, I still couldn't get their names right. I am not a Korean so these names were a little complicated for my mind to memorize. *The part where the City Hunter tries to capture Lee Kyung Wan, Seo Yong Hak and Kim Jong Shik were really exciting! I even sacrificed 2 sleepless nights because I shouldn't stop watching. But right after he caught Kim Jong Shik and he returned the money to the students, I got really bored. Especially when Na Na found out who he was and the Prosecutor was having hints about his real identity. I don't know, I just felt that the secret was already revealed so there was nothing to look forward to anymore. *Repetitive scenes. Cinderella story-Rich and playful man meets beautiful, vulnerable and poor woman. Living in one house. Contracts. Shouting while driving to release tension. Rich, powerful and scary parents confronting the love interest of the lead character. Unending goodbyes between the lead characters. Because I've watched many Korean dramas before, I've already became familiar with their themes. I will list down some of the recurred themes in City Hunter that we may have already sen in other dramas. Evil Mother. 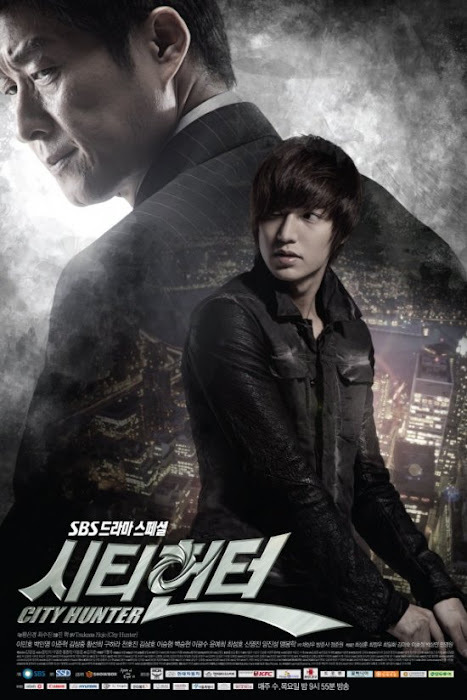 -In City Hunter's case, it was an Evil Father trying to poison and contril Lee Min Ho's decisions. Love Contracts.- When Yoon Seong lived at Na Na's house, they made a contract. Cancer, Leukemia and other sicknesses.-After finally meeting his long lost mother, Yoon Seong discovered that his mom is dying of a chronic disease. Rich boy, Poor Girl.-A rich, usually snobby, male meets a poor, but hard-working and spunky, girl. They initially can’t stand each other, but over time realize their feelings for each other. This is a common theme in tons of dramas, and it shows that prejudices between classes can be overcome with the power of love. Cheesy. lol. Enemies turned lovers, nice guys ignored.-Okay, so Yoon Seong and Na Na's despised each other at first, but what happened? They fell in love. And what happened to the kind 'daddy-longs-legs'? He was ignored. Love triangles, quadrangles, pentagons? !-No Korean drama would be complete without a complicated romance plot. Yun Seong likes Na Na. Na Na likes Yoon Seong. Da Hye likes Yoon Seong but then fells for the Prosecutor. The Prosecutor has an ex-wife but he likes Na Na. The ex wife still likes his ex-husband but hands out with Yoon Seong. Ugh, so complicated. *There were also too much brand advertisements such as iPhone, KFC, HP,Olleh, Trugen, etc. There were scenes that were really irrelevant with the item but still they showed it. Like a book that fell on the ground and guess what? There was an iPhone beside it. *I wonder why characters in this drama are to gullible. Lee Yoon Seong wore a baseball cap and eyeglasses as his disguise and then they didn't recognize anymore. Jin Pyo's reason for revenge were rightful but his means were not. 20 soldiers were killed in the middle of North Korean Sea in a cold and dark night. It was rightful for him to want to take a revenge in the name of the soldiers who dies but his means were just totally wrong. The Prosecutor died and I felt very sad. It was heroic of him to try to save Yoon Seong and try to stop Chun Jae Man from escaping the law but his death was just too morbid. Too bad he didnt even know the truth about the case he was wholeheartedly investigating. The President Choi Eung Chan didnt look at bad at first so I felt bad for him when the truth was revealed that he was one of the people behind the sweep-clean mission. I would recommend this drama to people who want to break free from the common cheesy-romantic-comedy Korean dramas. If you are interested in politics, if you liked the story of Lupin and Detective Conan and if you are into action and suspense and most especially if you find Lee Min Ho oh so hot then this drama is definitely for you. Every time I watch a Korean drama, I always make it sure to watch the drama again. In this case, I would be able to focus on the scene and not on reading the subtitle. (lol) I've watched Secret Garden six times, Coffee Prince five times, Shining Inheritance three times, Personal Taste twice, Full House twice and My girlfriend is a Gumiho twice. But I doubt that I will watch this drama again. It was just too fierce and intense for me so once is just enough. So I'm giving this drama 4/5. Have you watched this drama? If so, what did you think about it?